Good morning Stampers! 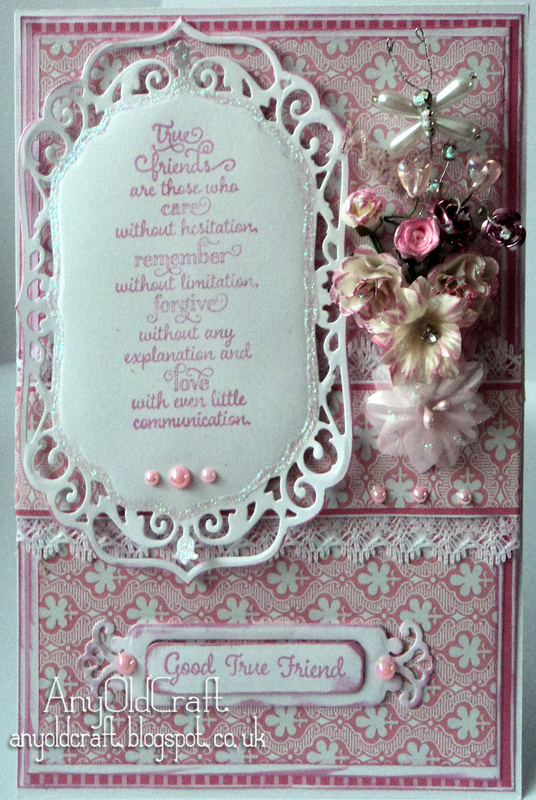 Sally here, just popping in with our mid month post and a reminder that our current theme is Anything goes with a stamp and a die and runs until Wednesday 3rd September. That means you still have plenty of time to join in for a chance to win the great prize from Tattered Lace, it's a fabulous £50 store voucher - The DT are wishing they could join in too! When trying to decide on my least favourite colour to work with, my first thought was of course it would have to be pink. I much prefer cool colours - blues, purples and greens, but looking through my archive, I realise that actually I do use pink now and again, albeit the softer, dusky shades. I really don't like hot bright pinks, Barbie pinks, as Sally calls them! However, the colour even less likely to figure in my work is probably orange. I would use it in small amounts amongst greens, reds, yellows and browns for an autumn theme, but not as a main colour, so I decided to go with it for my mid-month sample. Hmm. Easier said than done! I have very little in the way of orange card or papers in my stash! Eventually I found a few sheets in shades of coral, peach and apricot amongst a 6" x 6" multi pack, and an odd A4 sheet in a slightly brighter orange which I used to cover the front of the card. 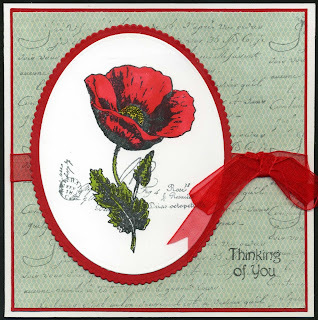 To fit with this month's theme of Anything Goes With A Stamp And A Die, I chose a couple of Spellbinder dies and the gorgeous poppy stamp from Technique Tuesday. I coloured the image with Promarkers, and couldn't resist adding a touch of pale turquoise for contrast. I quite like the result, but I don't think I'll be rushing out to buy more orange papers! Many Thanks, Lynne! It certainly doesn't look like you are uncomfortable using orange from here! 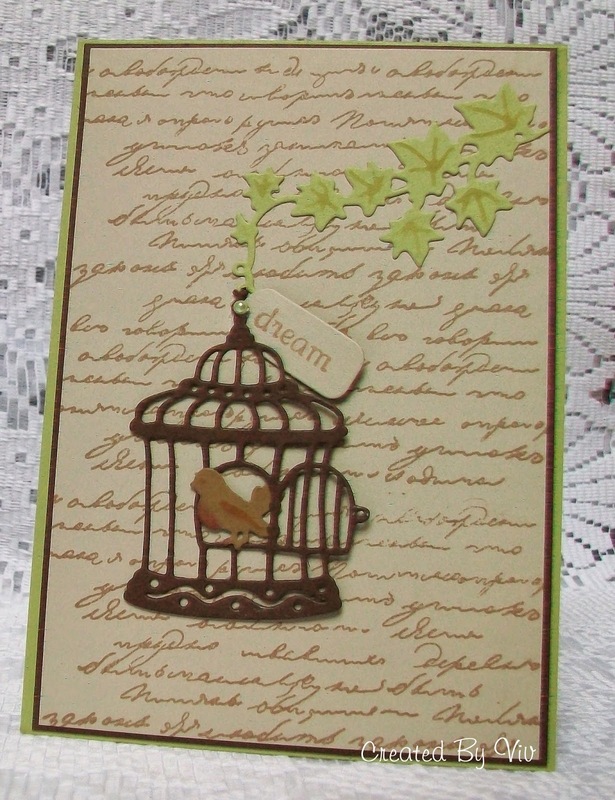 Dies play such a big part in our crafting now and work so well alongside our stamps so I am sure you will be bursting with idea this month. Our sponsor this month is Tattered Lace who are very generously offering one lucky winner a £50 store voucher to spend at their on line store. 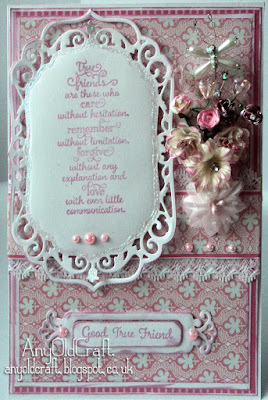 The award winning Tattered Lace company needs little introduction, they are synonymous with quality products coupled with the unique style and flair of Stephanie Weightman, you will find the whole range of products on the website here as well as regular inspiration on their blog here. I do hope you will join us this month and look forward to seeing your lovely entries.